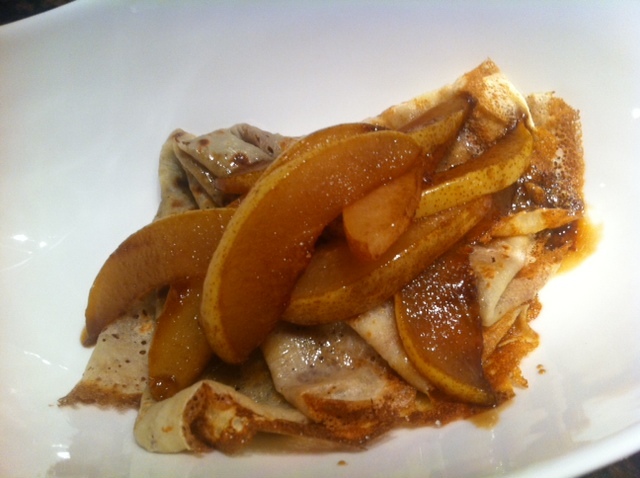 My Twist on the Crepes Flambees: Creme Patissiere and Caramelized Pears. Ingredients for 4 people: 8 crepes, 1 cup of creme patissiere( 1/8 cup of brown sugar, 1 vanilla bean sliced, 2 tbsp of flour, 1 cup of milk, 1 egg). 2 pears, 2 tbsp of butter, 2 tbsp of brown sugar ( i used dark muscavado). 4 tsp of pear schaps such as Pear William. First, make the creme patissiere: In a large bowl, beat the egg with the sugar and slowly add the flour. Then add the milk that you would have previously brought to boil with the vanilla bean. Stir the milk into the egg mixture. Place the creme back on the stove and cook at low temperature until the cream is getting thick, remove the vanilla bean and remove the seeds from the bean. Set the cream aside, and let cool. 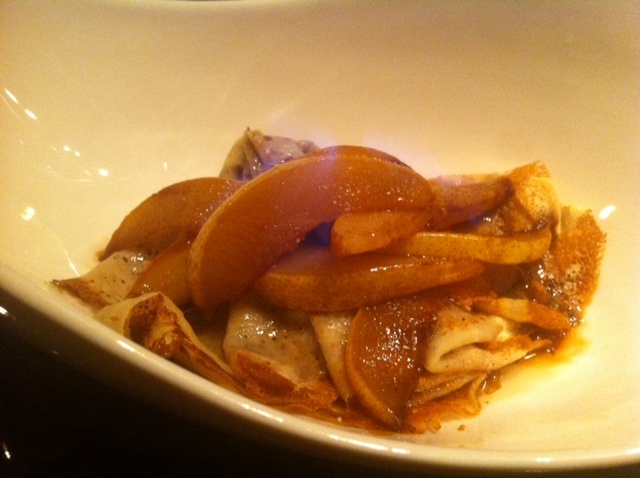 Now prepare the pears that will top the crepes. Core the pears, and peel ( or not) the pears. Then slice the pears in thin slices. In a frying pan, melt the butter and when the butter has melted, add the sugar and bring to boil. 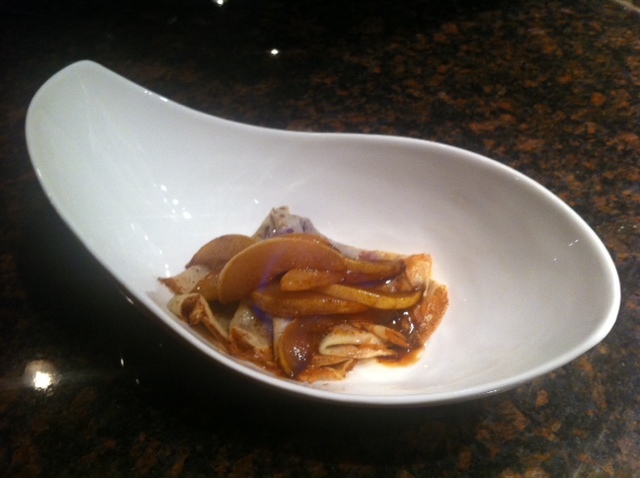 Add the pears in the caramel, and cook the pears for 2-4 minutes.